Bioquell has announced the completion of a 6-log decontamination of key clinical areas within Sidra Medicine, a newly constructed world-class hospital in Qatar. The disinfection of 450 rooms totalling 56,000m3 was implemented in a short 15-day time frame ahead of the Ar-Rayyan-based facility’s grand opening. The contract saw Bioquell performed a 6-log decontamination of a suite of 12 operating theatres, a sterile processing unit, paediatric and neonatal intensive care units and other high-risk patient areas such as oncology and dialysis. Working alongside numerous departments at Sidra Medicine, the project was successfully completed within the allocated three-week time frame. Russell Gates of Sidra Medicine commented: “The Bioquell team worked well with our people and were very flexible in their approach. The planning prior to their arrival in Doha made the implementation of the project much easier as we were able to ensure the right people were in place to support the process." The process was validated with Bioquell’s 6-log Geobacillus stearothermophilus biological indicators as well as a third party air sampling procedure organised by Sidra Medicine. A 6-log reduction was achieved in all areas within the scope of 100% of the independent air sampling results being within the acceptable range. Bioquell’s Rapid Bio-decontamination Service (RBDS) was chosen to establish a degree of sterility as high as practically possible within key areas. The company said it used its scientifically-proven hydrogen peroxide vapour (HPV) technology due to its ability to offer a scalable solution while maintaining a high efficacy standard. 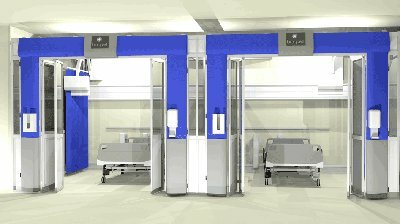 The intensive care units and the hospital’s operating theatre complex among other large areas targeted were treated as single, discrete decontamination zones, which minimised the risk of cross-contamination between rooms and corridors and allowed the project to be completed in time. The largest area of the hospital to be treated as a single zone was the operating theatre complex with a total volume of about 7,000m3. This entire suite was decontaminated within one day using 32 of Bioquell’s HPV generators simultaneously to provide effective decontamination. 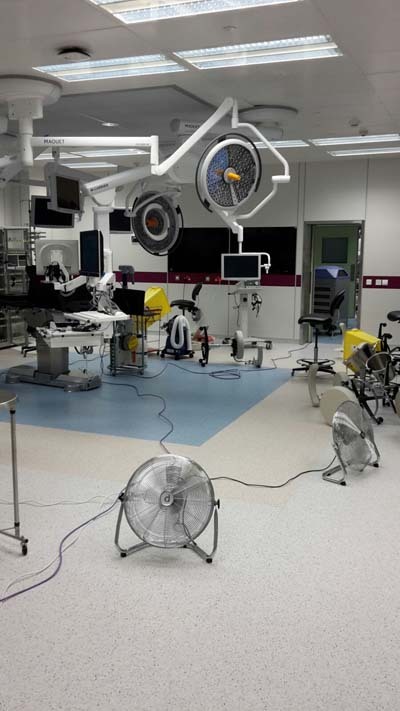 Distribution fans were also used to disperse the vapour within specified zones, while Bioquell’s aeration units provided the capacity to quickly break down the vapour to complete the decontamination cycle rapidly. All areas decontaminated strictly adhered to Bioquell safety protocols with doors giving access to each target area sealed using Bioquell tape to prevent leaks, warning signs placed to prevent entry to the area during the cycle and calibrated low-level sensors to continually monitor the perimeter of each area throughout the cycle. The sensors also ensure that the HPV concentration had fallen below the safety limits after the cycle was complete. Bioquell used 800 biological indicators to confirm the efficacy of the process. Additionally, Sidra Medicine also arranged for third-party air sampling tests in all of the decontaminated areas. All the air sampling results were within the acceptable limits. The full inactivation of biological indicators and successful air sampling results demonstrated that the project was completed safely and within the required time. 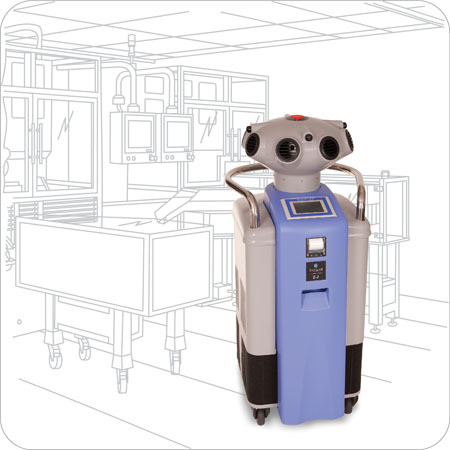 Bioquell said that following the successful delivery of the project, Sidra Medicine purchased multiple Bioquell BQ-50 hydrogen peroxide vapour systems to perform regular decontamination cycles of single rooms and other small areas within the hospital.